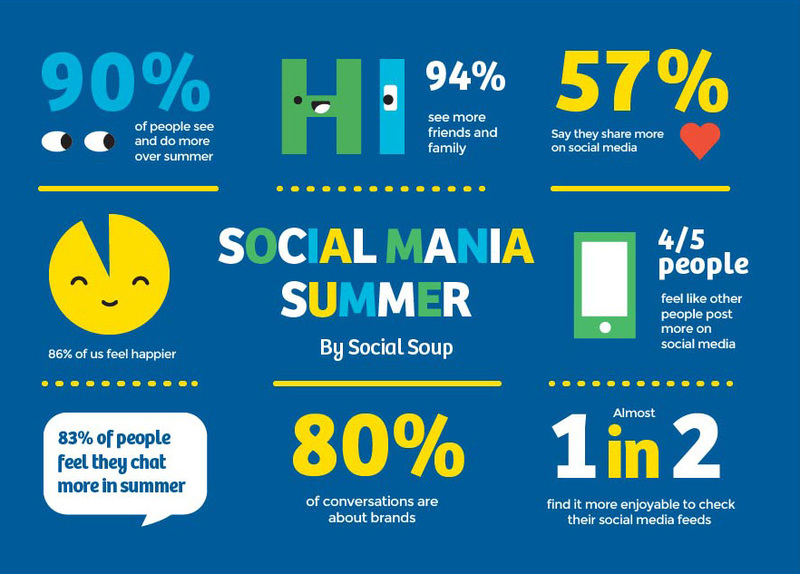 Word of mouth marketing agency Social Soup has polled members of its influencer sampling community to find out how their behaviour changes during the warmer months. It found that during summer people are significantly more active in the real world, which in turn stimulates a large increase in activity on social media capturing these moments. And while catching up with friends, brands feature in 80% of conversations. 1. 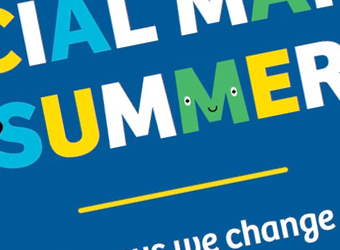 More sharing on social media: 84% of respondents feel that other people post more during summer, 51% say they post more, and 54% say they share more. 2. Social media is more enjoyable: 46% of people say the find social media more enjoyable during summer, while most others like it just as much as other periods. 3. People engage in more activities: 90% of survey respondents say summer is a chance to go out and do more things, and 86% feel happier and have a more positive outlook. 4. Family and friends: 94% of people see more family and friends during summer and 72% say it’s an opportunity to catch up with friends they haven’t seen in a while. 5. People chat more about brands: 83% of people chat more during summer and 80% of these conversations include brands, with top subjects being Christmas shopping, sport, holidays, music and festivals, fashion, new places to eat, alcohol and other drinks, TV and movies, and gadgets coming out next year. Social Soup has put some additional findings of its survey in the graphic below. Study based on survey of 466 randomly selected members of the Social Soup community, aged 18 to 50, with a 40:60 male:female ratio, surveyed in November 2014.